In the home remodeling business, we all know that rip-offs and shady behavior is rampant. So what better way to show potential customers how we conduct business than to show you what our clients have had to say about us. 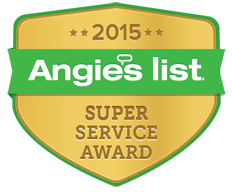 Just below, you’ll see what more than 800 Angies List customers have to say about our company, our products, garage door repair reviews and general garage door service reviews. If you wish to see ALL 1,197 customer reviews, go here and either login to Angies List or Join for free at the top of the page.